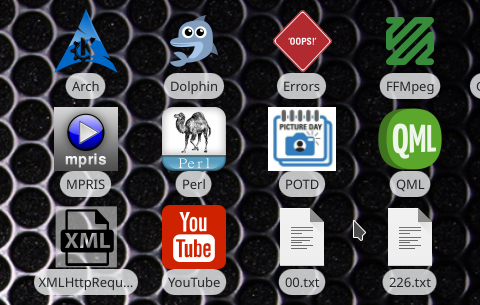 I have kubuntu 15.10 installed and on the desktop the icon texts has strange color and also background color. Please check the img what I attached. I would like to change the text color to white and also turn off the text background color. I tried to change themes to see if it change something, I tried breeze and oxygen theme, but the text background always stay. I also tried to find this in the theme files, guess what, nothing! This could be my goal, but how can it be? Is it really this hard question, or did I write something ununderstandable thing? Thanks your reply, sorry that I didn't mentioned. dubaku wrote: Thanks your reply, sorry that I didn't mentioned. - I don't have the plasma 5.4 anymore. The oldest version witch I have is the plasma 5.5. 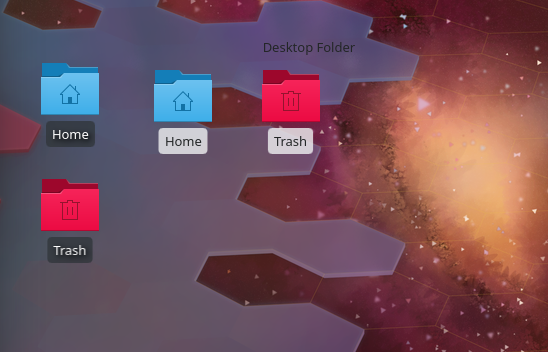 This example is with the plasma 5.5. - I have edited the plasma qml code. Updates to the plasma will overwrite the edits. At the end of the 'textBackground' is the opacity setting. Default is 0.4. 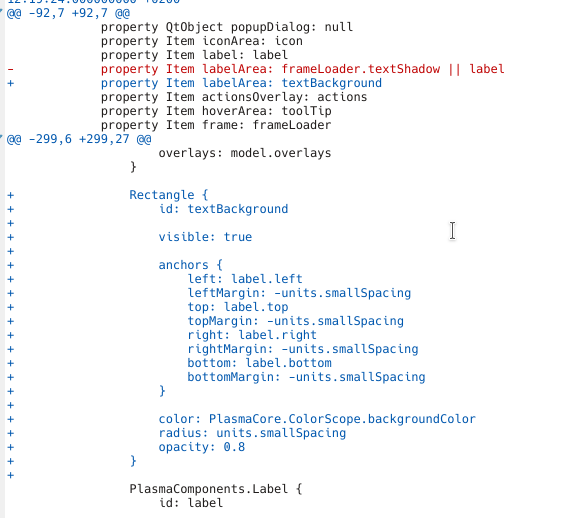 If those doesn't work there is an option to set (hardcode) the color from the label qml block. Excellent post, it just contains everything what I needed! I'm a beginner in linux, but with your help I changed the text bg and the text color, without your help I never find these files. I'm really appreciate your time and help! This is with the plasma 5.14.3. 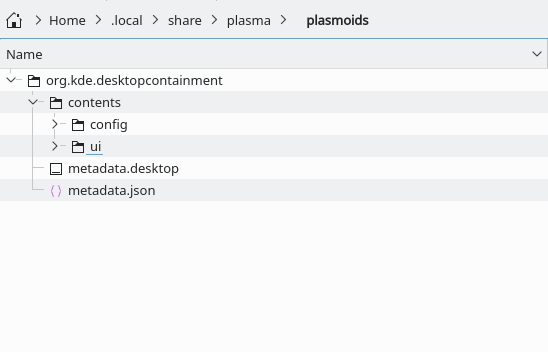 Copying the /usr/share/plasma/plasmoids/org.kde.desktopcontainment/ to the $HOME/.local/share/plasma/plasmoids/org.kde.desktopcontainment/.